Sometimes you just gotta let your imagination run while and create something that's totally imaginative. 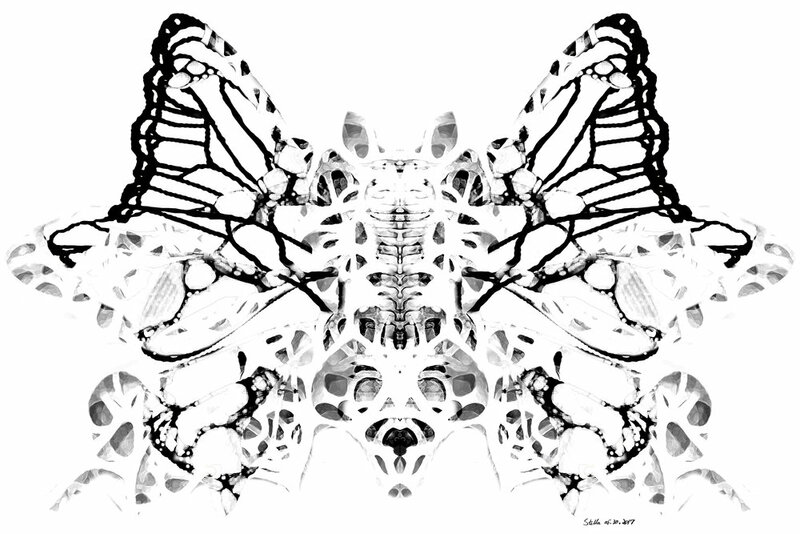 I wanted to see if I can x-ray a butterfly with exoskeleton shooting out of its body. So I started with black and white ink drawing of a butterfly and added watercolor of strange bone growth here and there and voila. Exhibited at Salmagundi's Black and White Exhibition. Then somehow this became the blueprint for my 3D printed exoskeleton fancy clutch. Original art print on stretched canvas is for sale here on Saatchi Art.